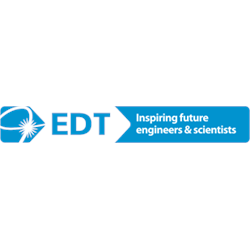 EDT runs over 40,000 STEM (science, technology, engineering and maths) experiences for young people aged 9 – 21, across the UK each year. Our range of work related learning schemes provide opportunities for young people to enhance their technical, personal and employability skills through industry-led projects, industrial placements and specialised taster courses. We help develop partnerships, building links between educators and industry employers, helping organisations reach talent and connect with young engineers and scientists across the UK. Last year, EDT worked with over 3,500 young people across Scotland, offering a range of curriculum focused and industry –led activities, projects and placements. We believe STEM subjects can open up a whole world of opportunities, learning experiences and career pathways - and we’re absolutely passionate about engaging as many young people and industry partners as possible!